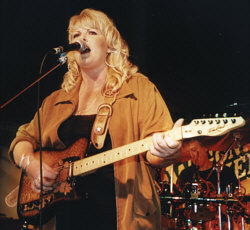 The Crosby Sisters - Golden-Guitar winners in 2001 for Vocal Duo of the Year and CMAA Achiever Awards 'Independent Entertainers of the Year' 2000. They have thrilled many audiences with their vocal harmony work. 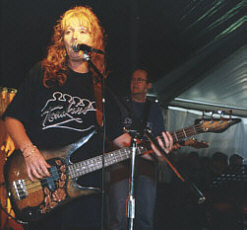 Jodie is pictured above left playing her Tomkins guitar, and Kelly is shown above right with her Tomkins bass.